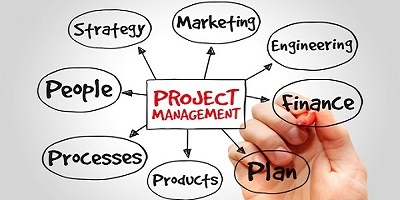 Project management is the discipline of using established principles, procedures and policies to manage a project from conception through completion.Project management oversees the planning, organizing and implementing of a project. A project is an undertaking with specific start and end parameters designed to produce a defined outcome. Business leaders recognize project management as a specific function within the organization and hire individuals specifically trained in this discipline -- i.e., project managers -- to handle their organization's project management needs.Project managers can employ various methods and approaches to run projects, generally selecting the best approach based on the nature of the project, organizational needs and culture, the skills of those working on the projects, and other factors. This course provides an introduction to the principles of Project Management, equipping professionals to apply these principles to real projects after the course.It is designed to teach you excellent Project Management skills. Professionals attending this Project Management training course learn the skills required to successfully implement any project, within budget and on schedule.